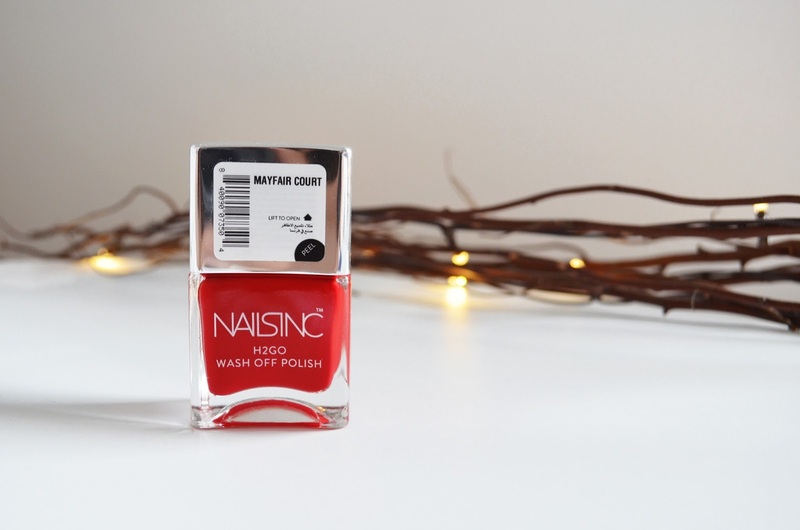 With Ramadan just a day away, Nails Inc could not have better timing for bringing out their range of limited edition water based nail varnishes – H2GO. Developed using a water based formula, these polishes wash off with just water! With Nails Inc being a huge favourite of mine and such a reputable brand, I was so intrigued that I had to place an order right away. After having a look at the colours they’ve brought out, I decided to opt for Mayfair Court, a gorgeous bright red. The packaging of the nail polish is the usual newer style of nails inc bottles. In general I have a problem with the new shape. Mostly because the varnish is really difficult to get to when you’ve finished about 3/4 of your bottle. Plus the lid is really heavy, which means the brush is a bit harder for me to control. Still that’s not a reflection on this product specifically, it’s all the Nails Inc bottles. The formula itself is made with a water based formula so surprise surprise it’s a watery product. Still, that’s not to say that the product comes on streaky or really opaque. Not the case at all. In fact I was pleasantly surprised at how much coverage I got with just one coat. I waited probably about 60 seconds before it dried completely. No need for me to manically wave my hands around wishing my nails to hurry up and dry! Any bits I had got on my skin I was able to remove it with a cotton bud dipped in make up remover. No scrubbing at all! I was also surprised at the high shine finish. I mean, I know it states on the product description about it being shiny but hey, I’m a skeptic. I decided to try it out on a work day and see how well it fared. I don’t do a particularly strenuous job as I’m mostly based in an office but still, I was pleased to see that it lasted all of 3 hours without any fading, until I washed my hands. As you most probably know I try to keep to products that are chemical free and I was definitely pleased to see that H2GO is free from parabens, phthalates including dpb, Camphor, toluene, formaldehyde, formaldehyde resin and animal derivatives. For those who need to perform ablution before prayers and have an event, maybe a wedding or a dinner to go to, this would be an ideal solution. Granted, you’d have to carry the (quite heavy – see rant above) bottle around with you, just incase you do wash your hands but why not. It does exactly what it says on the tin. Or heavy bottle in this case. At £14 a pop, I think it’s a little steep for something that probably won’t even last the whole day. I see the appeal but I’m not so sure it should be priced so high. The website does say it’s perfect for kids as it’s easy to wash off and non-toxic, but again £14 on your childs nails…really?? Overall I really like the product, if they market it well it can definitely be a sell out product. I hope to see them incude H2GO as a permanent line in the near future. Subject to availability, you can get your hands on H2GO here. 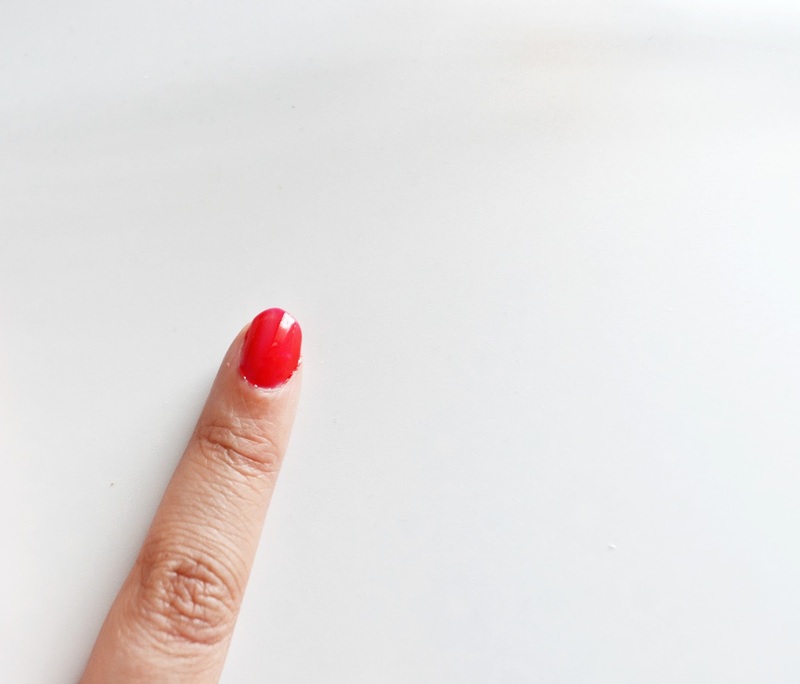 What are your thoughts on a wash off nail polish?